Søstrene Grene launches a new collection across all of its stores on Thursday 13th December including South Great Georges Street, Dublin 2, Dun Laoghaire, Blanchardstown, Limerick, Cork and Athlone. The collection represents the sisters’ thoughts on the coming spring trends within the following areas: Home and interiors, accessories, and stationary. The products will arrive on time to be placed under the Christmas tree. Fashion meets interiors – this is how Søstrene Grene depicts this collection, which among other things, consist of beautiful velour shoes, handsome notebooks and entirely new furniture and interior pieces. Everything is carefully balanced with the sisters’ vision of the coming season. The collection is divided into three overall categories: Home and interiors, accessories, and stationary. The new notebooks from the collection are made of thick quality paper, have beautiful covers and extra volume with more pages. Yes, some of the notebooks even have golden details and magnetic closures. In terms of accessories, retro items have made a comeback, including decorative velour and glitter items for both feet and hair. A new lounge chair with wool cushion has been designed especially for this collection, and its great organic and playful shapes are ideal for enjoying many relaxing hours. We kindly ask that you refrain from sharing the images before 15 November 2018. Søstrene Grene is a Danish retail chain, which aspires to enrich everyday life with aesthetic designs, creativity, joy and ‘hygge’. The stores offer a wide assortment of products for home, kitchen, crafts, party, office, children and a variety of items for the seasons. With an ever-changing assortment and prices that are never higher than they need be, the family-owned retailer wishes to create a wonderful world where finds can be made and creativity is encouraged. work to create slight, bright differences to everyday life. 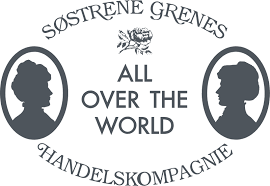 The inspiration for the sisters was found in the Grene family, meaning the family that founded Søstrene Grene in 1973 and who still owns and runs the retail chain to this day. essence cosmetics shine last & go is here!